with James J. Collins, Vijay Pande (@vijaypande), and Hanne Tidnam (@omnivorousread) The idea of 'designing biology' -- once science fiction -- has over the last 20 years become just... science. 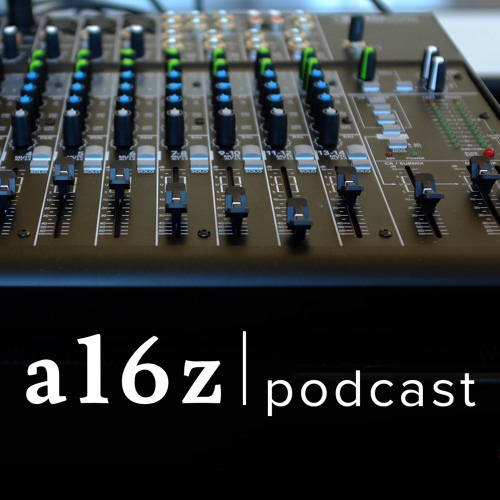 In this episode, a16z bio general partner Vijay Pande with Hanne Tidnam talk all about the field of synthetic biology with James J. Collins, professor of bioengineering at MIT. Collins, whose work in synthetic biology and systems biology pioneered the field, has also launched a number of companies and received numerous awards and honors (including a MacArthur "Genius" Award, an NIH Director's Pioneer Award, and Sanofi-Institut Pasteur Award). This wide-ranging conversation about the birth of synthetic biology covers everything from the founding story of the discipline to what "engineering and designing" biology really looks like in action -- when instead of engineering electrons, you are engineering toggle switches for genes -- to the disciplinary differences (and synergies) between how biologists and engineers see the world. What are the engineering and design principles, techniques, approaches that work best when applied to science? How does building a company in this new space look different, in terms of platforms and products? And how is this new field changing education in science, all the way down to kits that allow you to play with the machinery of a cell... at home... and even in middle school? Make it downloadable or convince soundcloud to allow us to modify play speed.